Local treats from Mrs. London's, The Kettle Restaurant and more! Tasty traditions, our timeless return to the taste and smells of foods passed down from generation to generation, are most alluring during the holidays. Pumpkin pie is an American classic. The early American settlers made a crude version in the early 1600s after Native Americans offered pumpkins as gifts to the first European immigrants. The settlers learned to take advantage of this abundant crop, and they would boil them, add milk, spices and honey to create a tasty treat. Their first version most certainly lacked the delicious buttery crust that some say is the best part, but a tradition was started nevertheless. 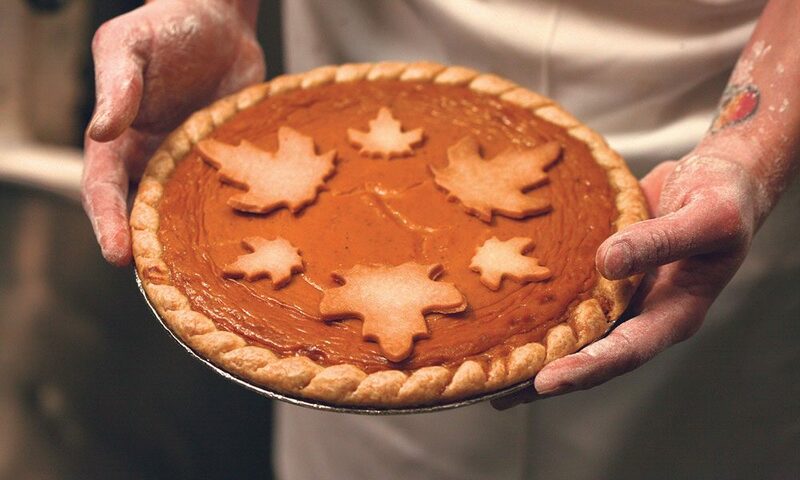 By the mid-17th century, the pumpkin pie appeared as we basically know it today. Many Capital Region residents would agree that pumpkin pie is even better when it comes from Mrs. London’s, Saratoga Springs’ iconic boutique bakery on Broadway. This version, with a braided crust and maple leaf motif, looks so beautiful you won’t want to cut into it, but you’ll be glad you did from your first bite. Grammy Eisenhart’s Mincemeat Pie, made at The Kettle Restaurant, is in a category all its own. It’s an aromatic combination of fruits, meats and spices with an extra jigger of Jack Daniel’s whiskey. The dense, rich texture (and its whiskey nightcap) will warm you down to your toes on a cold winter’s night. The Kettle, on Church Street in Saratoga Springs, is known for its hearty breakfasts and monthly barbecue, but once a year this taste sensation is re-created by owner Barry Barndt. 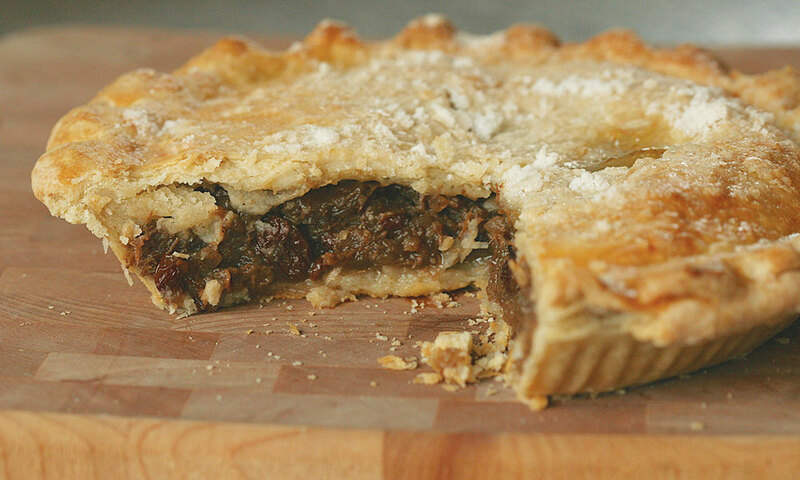 Made to celebrate the winter solstice, mincemeat pie was enjoyed by his family on Christmas Day. Ingredients were gathered around Thanksgiving when the apples were picked. The fruit mixture then soaked in the liquor of choice; many times it was brandy. Sugar cookies, gingerbread men and rugelach are holiday treats that many look forward to, but for those with gluten sensitivities or intolerances, they may be forgotten pleasures. At Saratoga Gluten Free Goods, on Broad Street in Schuylerville, owners MaryAnna O’Donnell, Jeanne Daley and Robert Averill have worked some magic so that all may indulge in these delectable traditions. Celiac disease and their own personal health concerns led them to baking for themselves and eventually for others. Their creations include breads, rolls, pies, cupcakes, cookies and specialty items, and the aroma from their ovens draws customers into their warm and welcoming space seven days a week. yumminess, and the Italian anise cookies rival any that this writer has ever had, gluten-free or not. Food traditions are powerful. A bite of a cookie can bring back a childhood memory of being in the kitchen when your grandmother had just baked a fresh batch. Daley worked on a special recipe for the anise cookies to re-create that memory for her customers. “Someone would say that their Nonna used to make them. I also loved those cookies and wanted to make it happen,” she says. 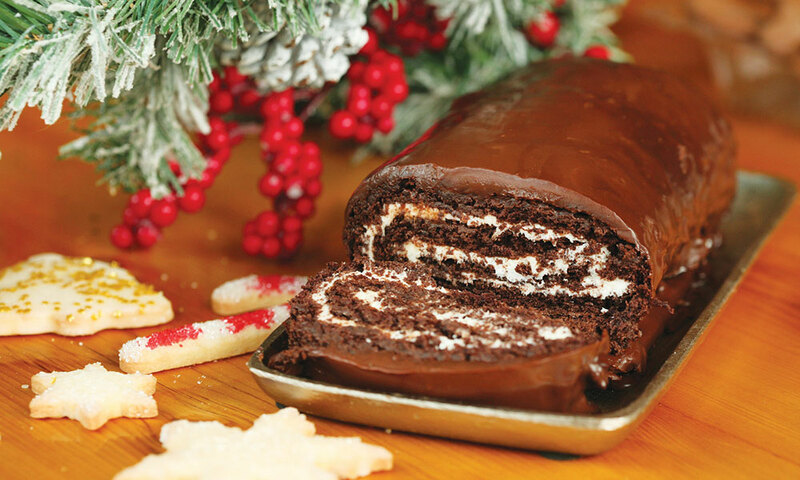 Who needs candy canes when you live in Saratoga Springs, home of The Peppermint Pig? 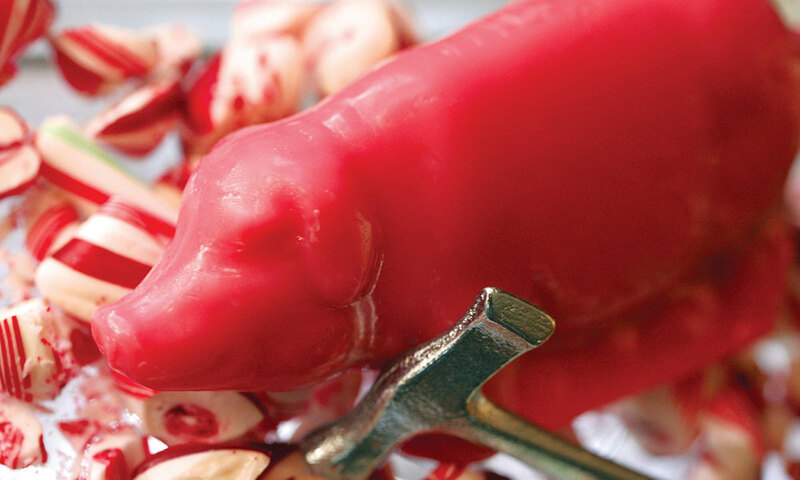 Pink and shiny, this most unusual sweet treat is cast of hard candy, and yes, it’s in the shape of a pig. The first peppermint pigs were made in Saratoga County in the early 1880s. It was a longtime favorite for children and adults, but inevitably times changed. The labor-intensive craft of candy-making eventually faded, and the peppermint pig disappeared with it. The Victorian tradition was renewed in the late 1980s when Mike Fitzgerald, founding owner of Saratoga Sweets, had a conversation with historical photographer George Bolster. After some research and recovering an original mold, Fitzgerald created a small batch of the pink pigs and word spread quickly. A new generation started to indulge. Saratoga Sweets Candy Co., on Washington Street in downtown Saratoga Springs, is one of the local shops that sells the pigs, and for the last decade, it has been one of its best-selling items, says owner Dawn Oesch. The Peppermint Pig comes in three sizes: “Holly” is the most petite and a great stocking stuffer, while an elegant eight-ounce “Noelle” is presented in a red gift box, with a velvet pouch and hammer. The largest, “Clarence,” is packaged in white, and also has the appropriate accessories for neat and proper smashing. “Hearing about different customers’ traditions is the best part about it,” says Oesch. She laughed as she told the story of one pig who “traveled” through the airport in a carry-on.